What’s good? As a road tester riding bikes all the time and travelling around the world to launches (I know, it’s a tough job…) I spend most of my waking life wearing a rucksack, I’d be lost without it. I wore my old Astars rucksack for over five years on bikes, though airports and on holidays, it was still in good shape but didn’t look or smell good, plus it wasn’t waterproof. I love this new Range Pack, it’s waterproof for a start, which stops the laptop getting damp and it’s got loads of big compartments for everything from gym kit, packed lunches to pens and camera etc. Big padded shoulder straps, plus chest and stomach straps mean that even if when the bag weighs a ton, you can’t feel the weight once it’s strapped tightly on. What’s not? Nothing, I love it! 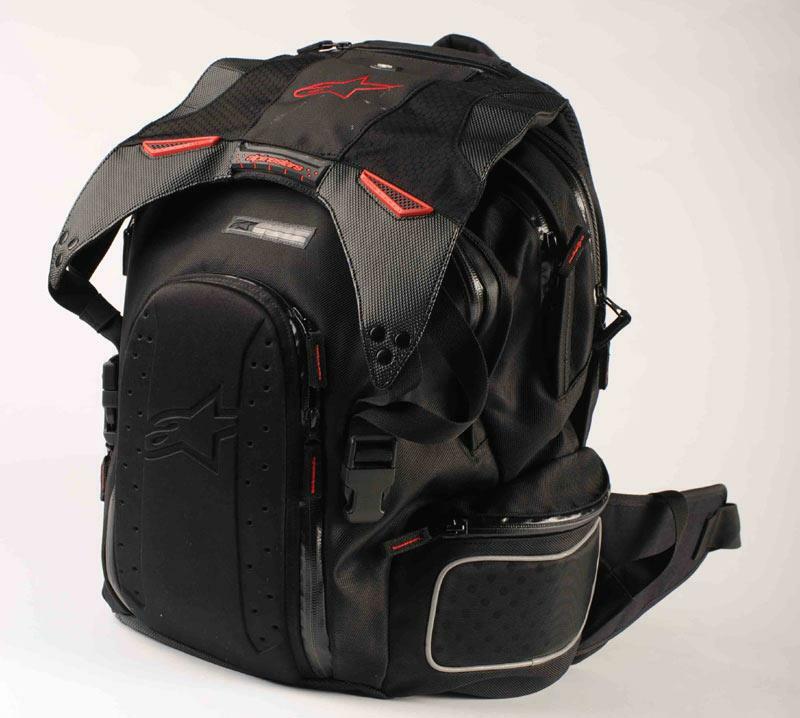 Contact: www.alpinestars.com or check Bikemart for local dealers.